This is by no means a scientific piece, rather, it is a piece dealing with the feeling I have long had regarding the nature of death. To put it simply I believe that life is permanent and death is temporary. To my mind, life is the ever existing background against which birth, conscious existence, death, and unconsciousness, are played out. I believe all these states except life are temporary. The Law of Conservation of Mass or Matter says that the mass of a closed system, in this case, our universe, will remain constant, regardless of the processes acting inside the system. Mass cannot be created or destroyed, although it may be rearranged in space, and changed into different types of particles. Matter is everything around us that has a mass. It is atoms and molecules, and also liquids, gases, and plasma. Over long spans of time, matter and energy are transformed among living things, and between them and the physical environment. 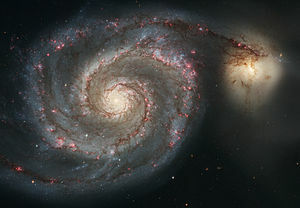 In these grand-scale cycles, the total amount of matter and energy remains constant, even though their form and location undergo continual change. The earth’s present-day life forms appear to have evolved from common ancestors reaching back to the simplest one-cell organisms almost four billion years ago. Atoms make up molecules, molecules make up cells, and cells make up living things. I am talking about atoms disassembling and reassembling into various other forms of matter, including human beings, over millennia…and also disassembling and reassembling into various forms of animal, plant, liquid, and gas. We are each of us, plant, animal, and human, made up of the very atoms that were a part of the big bang which science believes took place about fourteen billion years ago. We are talking about the very same atoms that once made up long dead stars. We are made up of what constitutes the evolution of the universe. You and I are made up of seven followed by twenty seven zeros of these atoms. Every person we know, or have ever seen, or has ever existed, is, and has been, made up of this same number of atoms. I’m not even going to get deeply into the fact that all of these atoms that make up our bodies, and trees, and the desk I’m sitting at, are vibrating, colliding, and moving at all times. I simply mention this to point up how very little of what we perceive in this dimension in which we exist is as it appears to be. If you’ve ever been put under an anesthesia on an operating table you’ve experienced being aware of the cold operating theater, the harsh lights, the voices around you, and then the next thing you are aware of is that you are awake, and in the recovery room. You could have been unconscious for a half-hour, an entire afternoon, or, for all you know, you could have been unconscious for twenty years – or a million. There was no awareness of the passage of time – none. You could have been dead – the difference being that when you awake you are still you, with your consciousness. What I am hypothesizing is that when our physical body loses it’s energy and dies, the atoms which made it be alive disperse back into the universe, either into the ground, in ashes scattered at sea, or blown upon the wind, to be ultimately spread among millions of forms of life, but the consciousness that was housed in the body that those atoms made, that consciousness that was uniquely you, is forever gone. And then, in what is always a blink of an eye to the universe, a second, a minute, five minutes, or five thousand years later, it’s relatively all the same, someone new is born. Some of the atoms that once made up people who lived before might be part of what makes that new person. They won’t have your consciousness, but they will have their own. And it will be a consciousness unique to them. I first had this notion that death was a temporary state of life back in 1970. It suddenly popped into my head one sunny early March afternoon while sitting on a rock ledge above a natural well which was in the woods near where I lived in West Shokan in upstate New York. The well that had been iced over was just beginning to thaw. I was looking at the icicles that had formed over the winter and were hanging down from the ledge opposite where I was sitting. They were slowly dripping…melting…I watched, and, as I watched I thought; “It’s all coming back to life again. It was all dead, and now it’s all going to be alive again, the flowers, the leaves on the trees, the solid ice turning back to liquid again”. What I was watching was the return of the carbon atoms which were once part of the cells of other dead plants and leaves. They had long ago dispersed into humus, or else had become carbon dioxide gas, which had returned to the atmosphere. Now they were returning, and were combining with other atoms from the carbon dioxide in the atmosphere to form the new glucose molecules to make up new plants and tree leaves. Where the plants and foliage were all gone, now they were in the process of all returning…every winter the same death, every spring the same re-birth. And then I started thinking; “but will it be exactly as it was? Not really. It will look the same…but it really won’t be the same. And will it remember that it was here before? Maybe on some unconscious cellular level that will govern behavior it will remember, maybe in the will to propagate that all living things share, but will it actually be aware it was here in what would appear to the human eye to be almost exactly this form before?” Some form of this monologue was taking place in my mind. And I thought that all this must apply to human life as well, which brings me back to that idea that when our body dies its atoms disburse to go into making other life forms, but our unique consciousness dies. Let’s say that you and I are sitting in a room somewhere. We are in the same time, in the same dimension, and just a few feet separate us. We each have conscious thoughts, and have empathy for one another though we can’t really feel what the other person is feeling, nor can we know the conscious experience the other has had. We can guess, but we can not actually know. And we certainly don’t have the other person’s memories. Now, let us jump one hundred years into the past, or one hundred years into the future, where in another room two people are sitting and talking, just as we are now. Just as we exist, they exist. Just as we don’t know each others consciousness, they don’t either. Just as we are conscious, they are conscious. We can’t have the consciousness of the person we are each sitting opposite from, but we can have the consciousness of someone in another time. Of course, it really wouldn’t be us us, not the “us” with our personality, our memories, our experiences. It would be them. But since we can’t know, or remember, any consciousness but our own, not even if it’s sitting right next to us, we surely couldn’t know a consciousness that has existed, or will exist in another time. It gives me great comfort to know that other consciousness exists, has existed, will exist, and to know that leaves die, and come back to life, looking the same, but with different atoms in their make-up, and to know we can experience complete loss of our consciousness under anesthesia, as if we are dead, then wake up conscious again. Remember, I said this was not a scientific piece…so whether this is the way it is or not, it is the way I feel it is. And from this feeling I have to conclude that life is permanent and death is merely temporary. © tony powers and Barking in the Dark, 2011. Unauthorized use and/or duplication of this material without express and written permission from this blog’s author and/or owner is strictly prohibited. Excerpts and links may be used, provided that full and clear credit is given to tony powers and Barking in the Dark with appropriate and specific direction to the original content..
Great piece. I have always shared your perspective about us being re-used in the eternal process of creation and destruction…creation…destruction…but never thought much about the spirit or our unique consciousness. This is why I think it is wonderful when a unique human being creates something…like music…poetry…a book…architecture…perhaps scientific or technological master pieces…that are impressive enough to pass through generations…not sure some of these masterpieces will make forever…but you never know…perhaps they were created before…over and over again…afterall…eternity is infinite…the 14 billion year age of our Universe is a blink of eternity…of course there was something before…somewhere…just like there could be much more than our universe now…why should our universe be the only one…sounds a bit like the idea that the earth is the center of the universe…don’t think so. There is a good book you might enjoy skimming called the Selfish Gene…talks about our genes using our bodies to live on forever…another interesting thing to contemplate…for genes might hold the key to what forms each individual’s consciousness to some degree….anyhooo….nice piece. I “”ABSOLUTLEY”” believe in Life after Death. If I did not, I would have gone crazier & more insane than already am! Thus, I know my sister is waiting for me…& I look forward to seeing her in Paradise. I also believe strongly in God…although I am quite pissed at him right now. Thanks for directing me to this page. Very well written, and I am in agreement. It’s just the shock of losing someone. Intellectually I “get” it, but my heart isn’t quite as astute, you know? Anyway, you’ve written a truly excellent piece and I am glad to have read it. First (I have to mention you wrote/posted this on my birthdate).. This is such a deeply thought out piece I will do a few re-reads ( I do that with things that interest me and I want to really absorb the meaning of a piece)..
that being said from first read, this possibility ( as you feel/see our life cycle) adds another dimension to what I already hold.. I personally have never feared my own death and maybe subconsciously it was because I already knew things such as this yet never confronted them in black & white print..
(thank you so very much for the link up).. There is a deep comfort in knowing that nothing is the end and that each atom in my body will continue to exist. Perhaps consciousness is a form of energy? I mean, it keeps getting transformed into slightly different things, but it’s always there? Anyway, thanks for giving me something interesting to think about. I agree with the inter-relatedness of it all, But I think that while life does go on, for me (when it’s over), it will end. I have recently realized the truth of the fact that one day I will die. There will be no spring thaw for me, no return from the big sleep to this…plane. I do however love the idea that every physical component of me will get to take another ride on another wheel. Just sorry I won;t get to see it happen. Too well versed in religion, spiritual paths, literal experience with and in so many religions -we’re all searching from birth to the end- to believe that actual re-birth, with the exception of your quote above is true. Except for perennials and the lovely description of icicles you mentioned. And I want to thank you so much for sending this seeker to your post here. Ah, very Jungian of you -smile-. I was compelled to re-read this piece as it really IS scientific Tony. You’ve mentioned all the basics of physics from entropy (phenomenologically by the second law of thermodynamics), to your statement of the Law of Conservation of Mass (oh btw happy Easter) to the bundle which Einstein, and recently Hawking, have tried to link as string theory. If anything, you should place a ‘physics’ tag on this piece, if you haven’t already. Although you’ve written your experiences from a personal view, there is nothing that is not scientific in your nature of explanation. Once again, a pleasure to read your writing, delight in your intellect, and make me think and ponder. The highest praise I can give. I enjoyed reading this and found it most revealing of how deep thinking you are. However, the other style,your satirical work amazes and rattles (intimidates) but continues to inspire. Wow and holy s**t you’ve put some thought into this. Which is not to say incorrect. This is deep. If you’re interested, try reading the three books by Brian Greene about how the quantum universe influences ours and some of the mind-bending implications of that… such as, we are each of us individual holograms (shadows) of another and larger entity, and we each and every one of us choose and cause multiple universes and realities to spin off with the smallest of our actions and decisions… I suspect you will enjoy these three books. Rants: Brian Green was one of the writers who placed me back squarely to a love of physics and the universe I’d been lacking since college! Good call! Had already read two of Hawking’s tomes and went on to one of my very favorite physics reads after the three Green books. It is ‘First You Build A Cloud; and Other Observations on Physics as a Way of Life.’ by KC Cole. Also recommend ‘Black Bodies and Quantum Cats by Jennifer Duellette. Damn Tony! You’ve brought out the hidden science loving side of all your readers -grin-. You truly Never cease to amaze me. Rants, thanks for bringing up Green. He gets slammed a lot by the ‘scientific community’ whatever the hell that means, for being too lowbrow. F that. The man made me love physics again! Oh, props to the late Asimov as well. Tony, I’m blushing -crooked silly smile-. Have some newer stuff, with local bands on MP3, but several of my demos are still on reel to reel (hahahahahah), cassette, and vinyl. Yeah for real. Need to transfer the majority of my music to MP3, not ony to upload but to keep from utterly deteriorating over time given the medium on which they were recorded. Have seven original new tunes; that I’m actually happy with. Finally. Same problem you’re have cutting a new CD: Cash money for studio time and an engineer.